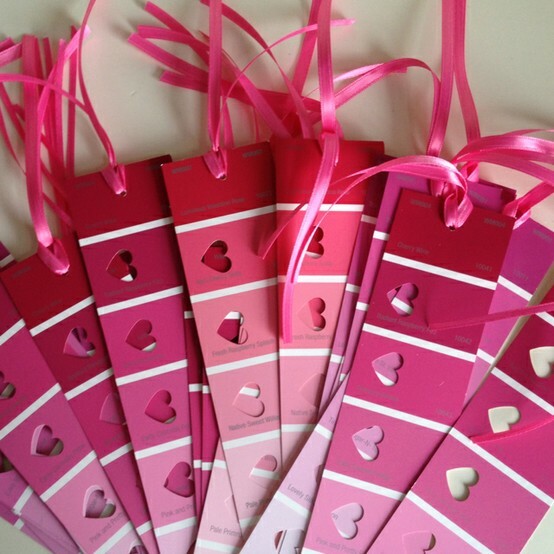 Juneberry Lane: Double Bonus Tutorial: The Cutest Little Paint Chip Heart Garland & Bookmarks . . . 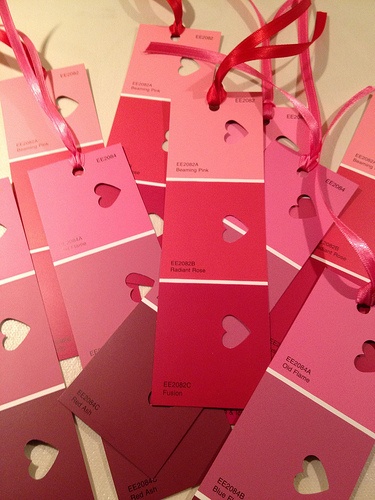 Double Bonus Tutorial: The Cutest Little Paint Chip Heart Garland & Bookmarks . . .
As we head into this gorgeous weekend before Spring, I thought it would be fun to bring you two SUPER unique and super wallet-friendly projects that would fill up your Saturday & Sunday with all sorts of crafty goodness!! Both are equally simple & equally delightful...so you might as just well knock out two of these little beauties this weekend!! Check these out . . . 1.) 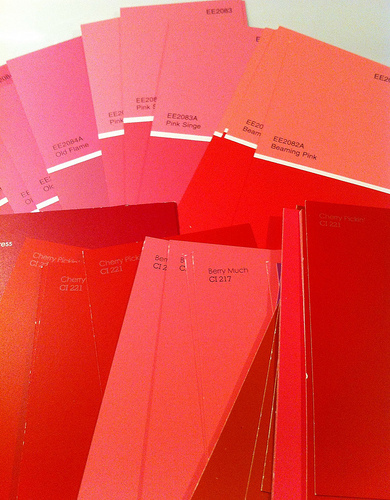 Using your craft punch, stamp a shape out of each of the swatches of paint color. 2.) Thread your needle and sew the heart shapes onto the string, bunting style! What a piece of cake, right? 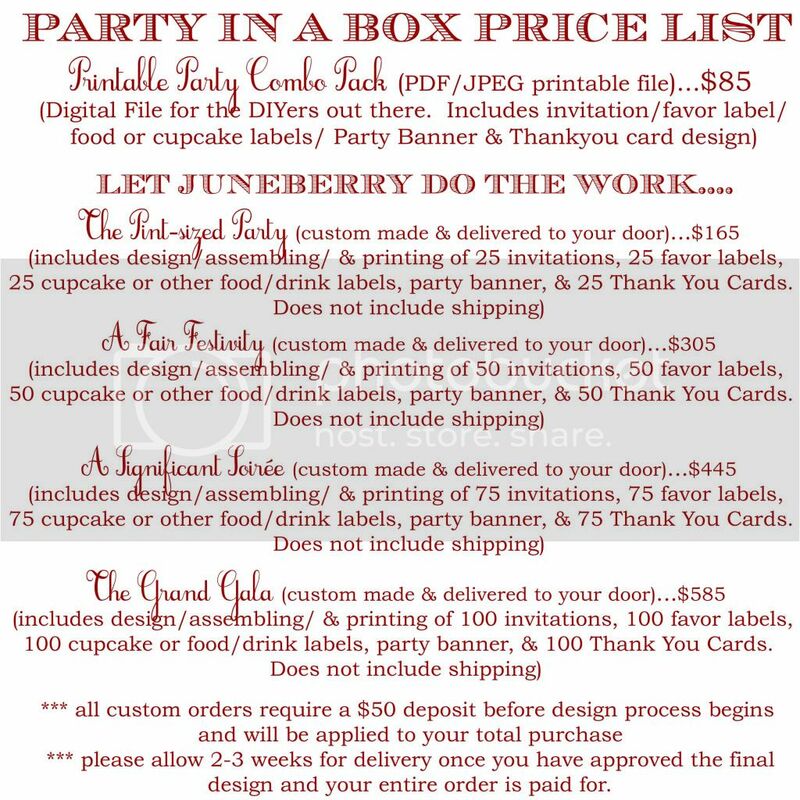 And it basically costs nothing, so even better!!! 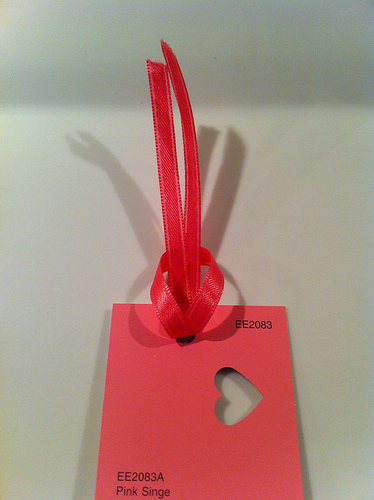 And now for the simplest & most budget-friendly little DIY gift . . . 1.) 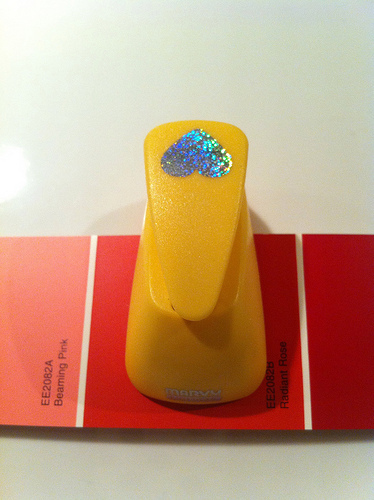 The first step is to carefully place the heart shaped punch in the dead center of each color on the paint chip. With firm, even pressure, push down on the punch to create a heart cutout. 2.) 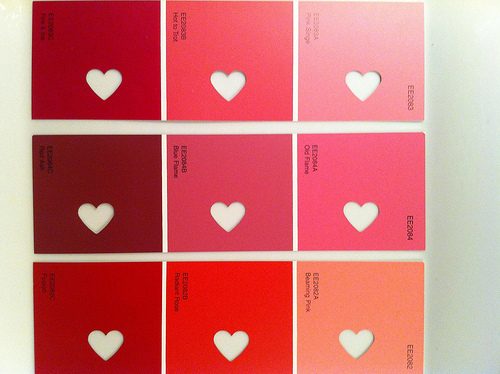 Here's what your paint chips will look like once the heart cutouts are completed. 3.) 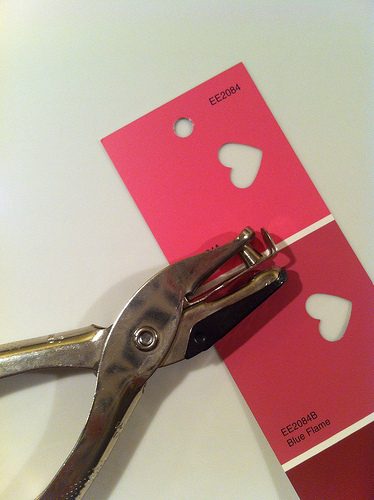 After your heart punches are finished, using the circular hole punch, create a centered hole at the top of the paint chip for your ribbon tassel. 4.) Next up, cut pieces of ribbon twice as long as the desired length of your tassel. Fold the ribbon in half, and place the ends of the ribbon through the circular hole. 5.) 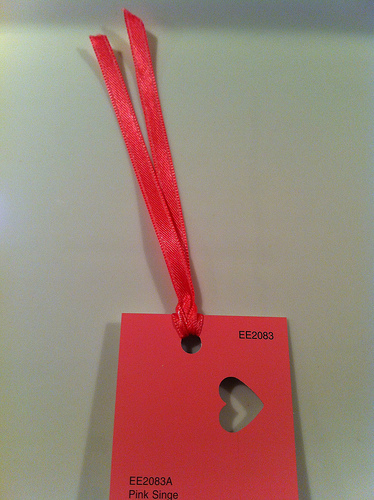 Insert the two ends of the ribbon through the loop. 6.) 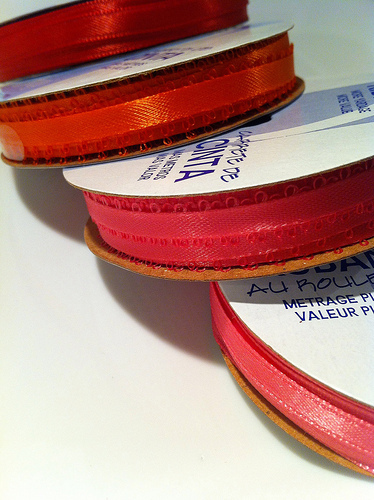 As a final step, gently pull up on the ends of the ribbon until the ribbon is taut and secure. 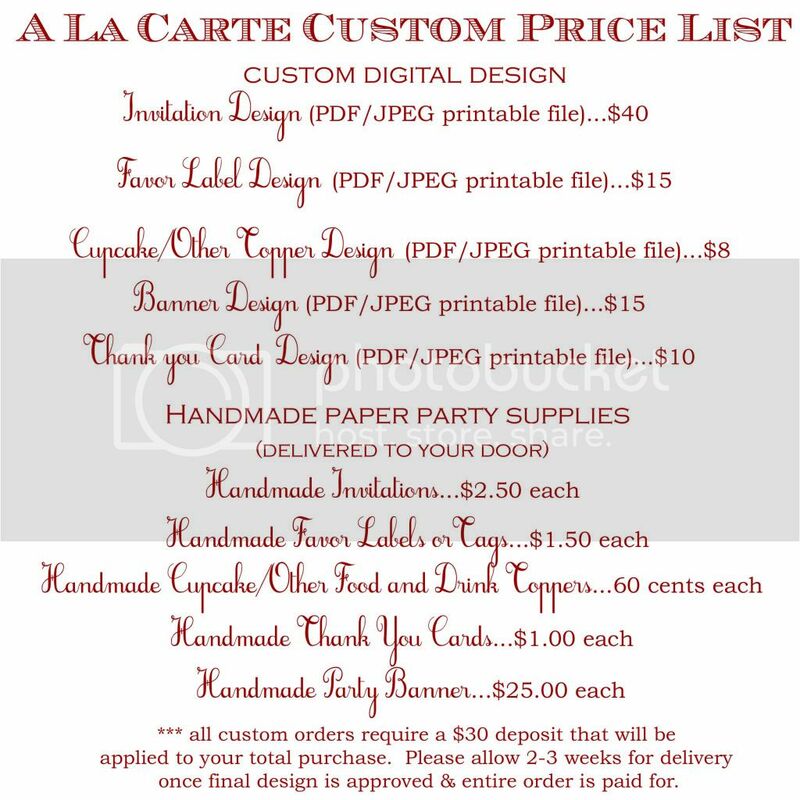 An endless supply of the most adorable handmade gifts all for around $6! Amazing!!! Now I know I am supposed to tell you to have a good weekend...but I may be popping back a bit in case I simply cannot help myself from sharing a bit more inspiration before the weekend is over:) Have a great one!! Wedding Wednesday: Hoop it Up!! Tutorial Tuesday: Cake Batter Martinis...YUM!!! Spring Party Inspiration; Ice Cream Flowers! Eggs in a Basket...Valentine's Style!!! Wedding Wednesday: LOVE is in the Air . . . 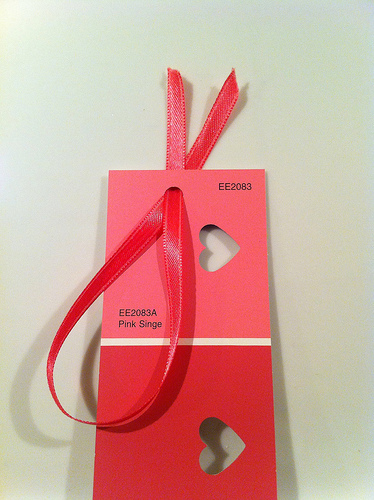 Pretty Valentine's...One for the Girly Girls! Sending the Love Superhero Style . . . Bonus Tutorial: DIY Homemade Coffee Syrups . ..